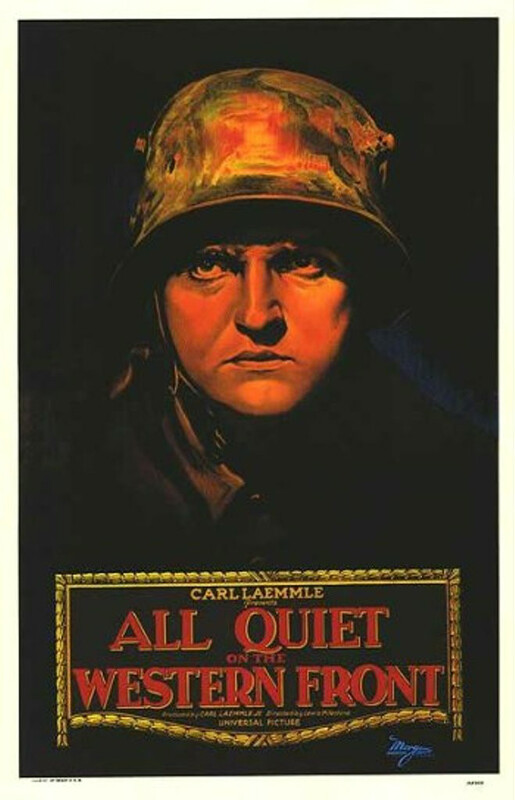 Synopsis: A young soldier faces profound disillusionment in the soul-destroying horror of World War I. Did You Know? During the German release of the film, the Nazi party (who had not yet come to power) disrupted screenings of the film, often releasing rats and stink bombs into the theatres. Quotables: PAUL: He tells you, “Go out and die!” Oh, but if you’ll pardon me, it’s easier to say go out and die than it is to do it! PAUL: And it’s easier to say it, than to watch it happen! This is perhaps the best war movie ever made, because most war movies glorify war in some way or another. But All Quiet on the Western Front takes that blind glorification and destroys it. Through the eyes of the young and naïve German soldiers, we watch the illusion crack as they realise how horrifying war truly is. But it doesn’t just destroy the façade, it also reminds us that only people have been to war can truly understand it’s horrors. There’s a scene in which Paul is sitting with some other men who have clearly never served in the armed forces, listening to them argue about how things should be done. He leaves them to it, not even bothering to excuse himself, because he doesn’t have time for these sanctimonious philosophers. A short while later, Paul confronts his teacher who took advantage of his and his classmates’ naïvety and addresses his new crop of students. Paul tries to illuminate them with the harshness of war, but they ignore him and call him a coward. They call him a coward because the truths he is telling them go against everything they’ve been raised to believe about serving in the military. The scene at the very end, with the soldiers marching overlaying the shot of the crosses in a military cemetery, is one of the saddest scenes ever.